This weekend I was supposed to be writing a talk. Instead, I spent all of Saturday baking a cake and all of Sunday recovering from a hangover. I thought it might be more interesting to talk about the first one. It was a friend’s birthday a few days ago and his girlfriend decided to throw a surprise party for him. 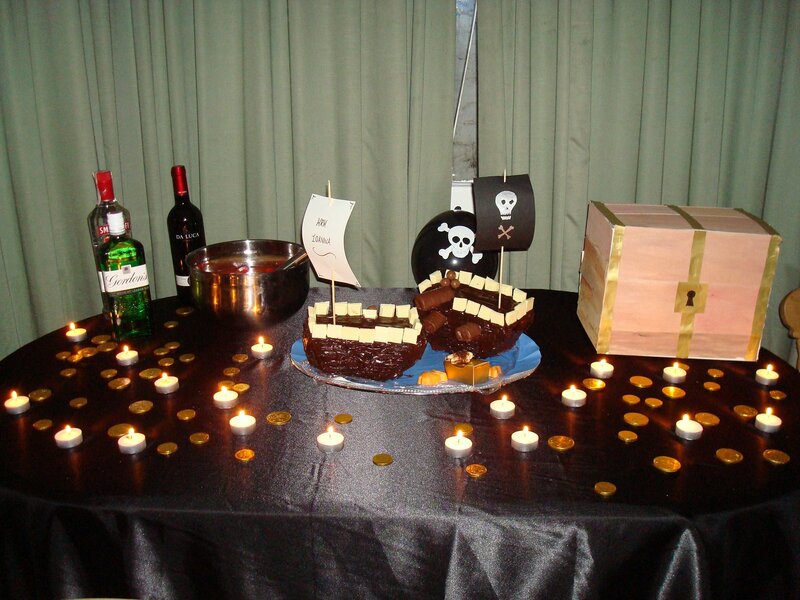 Apparently, the friend with the birthday likes pirates (hmm..), so there was a theme. Sophie and I spent ages getting excited about the prospect of making a cake in the shape of a pirate boat, although I have to admit I was terrified that it would be a complete disaster. Hoping for the flavour to compensate for appearance, I suggested we made one of my favourites, Nigella’s Guinness and Chocolate Cake. It is a really easy cake to make, and I think it is also quite a safe one too, given that the first time I made it I managed to put the oven on 110 degrees rather 170 and only realise after it had been in there for half an hour. It still turned out great. Basically, it’s a one-pot cake. You melt the butter with the guinness. At this early stage, it looks disgusting. When it’s all melted, take it off the heat. 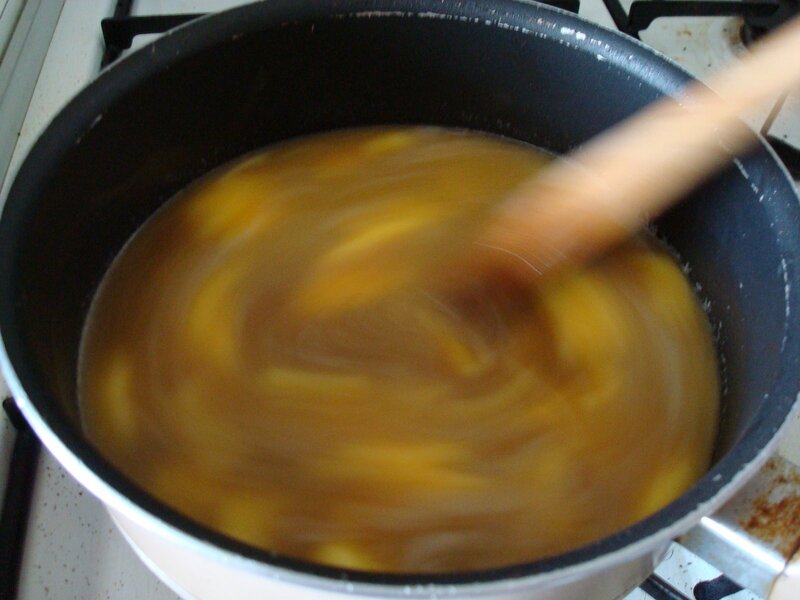 Then, you add cocoa and sugar and whisk, and it’s starting to look amazing, really really dark and smooth. Next, you beat the eggs with the sour cream and the vanilla extract and add to the mix. Finally, sieve the flour and bicarb soda and whisk until smooth. We made an extra 50% to make two cakes. The recipe is supposedly for a 9″ tin and that will give you a tall cake. We made two of them. 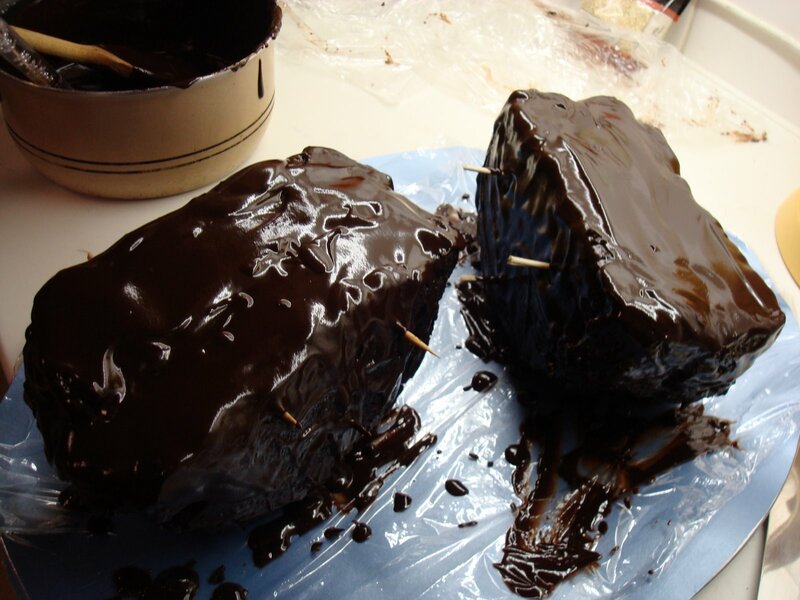 At that point I was just a bit worried that no one would be able to tell what our cakes were supposed to be, and that they would probably be put off by the way they looked too. But thanks to Sophie’s creativity it turned into a real ship battle! She decorated the rest of the table too. It was a great party, especially after Phil decided to make some more punch. But that’s a different story.